Our aim was to capture the school’s vision for a campus that defined them as market leaders. 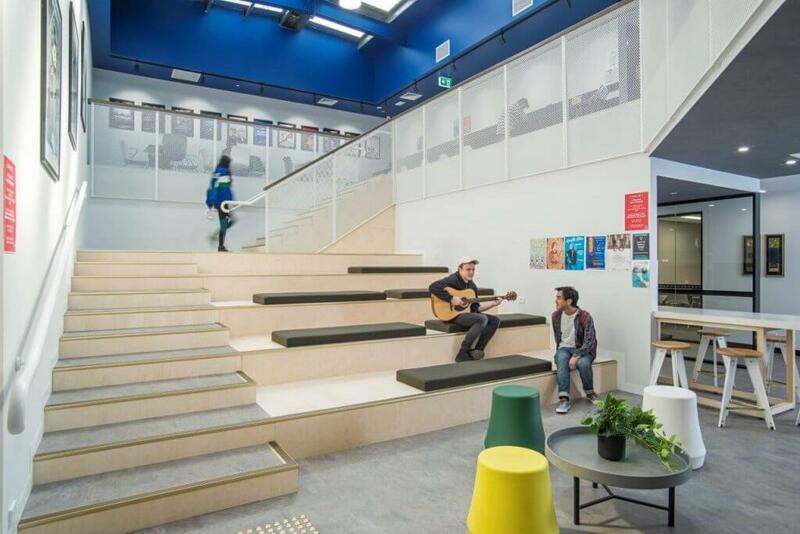 Our challenge was to deliver a state-of-the-art education facility that provided superior acoustics in specific areas while creating an environment where all the students could connect and feel part of the music world. 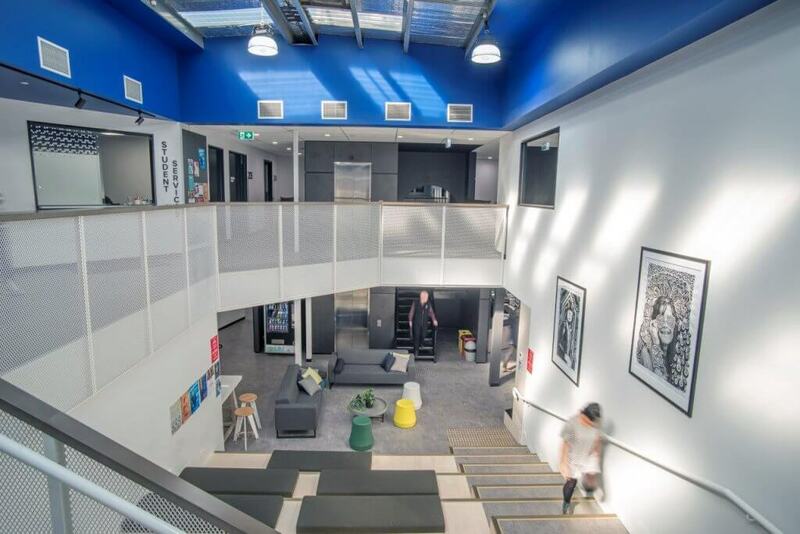 Collarts Collingwood Campus pushes the boundaries of design and performance. 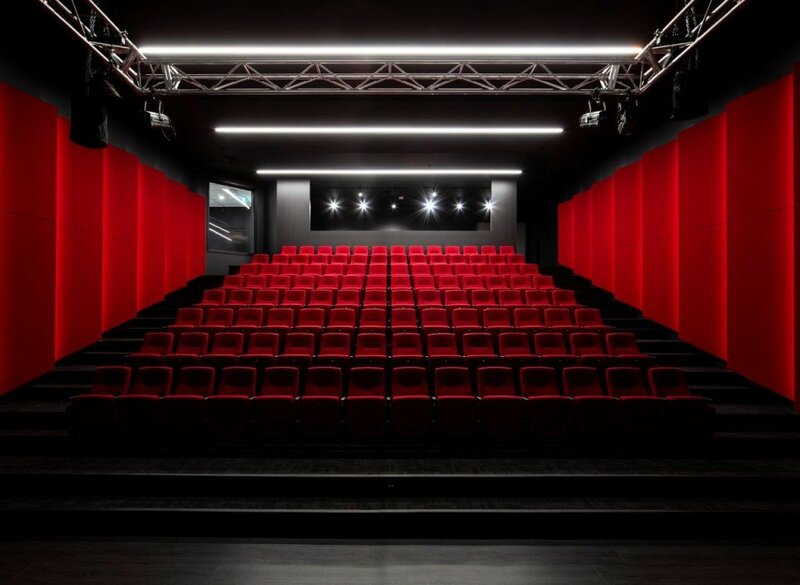 Technical aspects, such as sound acoustic ratings for studio and auditorium spaces, have been coupled with a design approach that encourages creative thinking and collaboration. 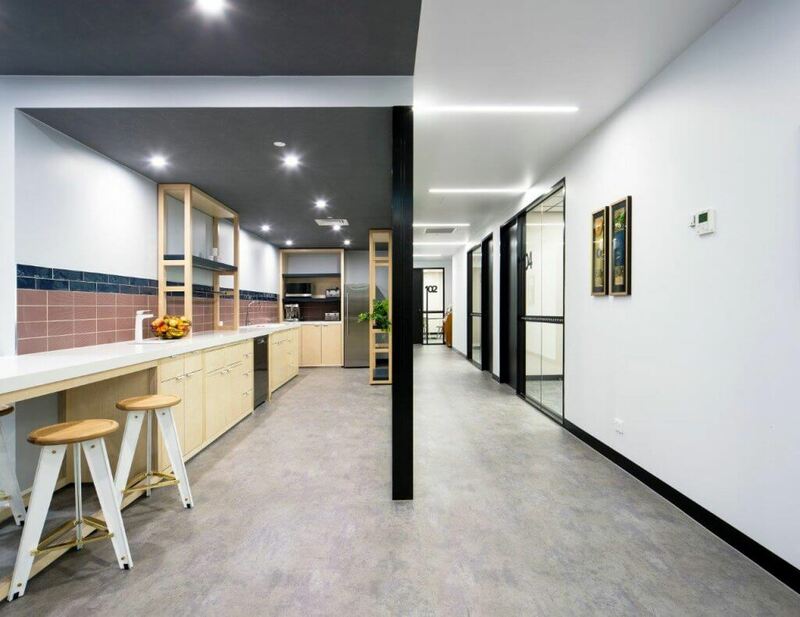 The winding corridors – connecting learning spaces with production studios – are whisperings of musical rhythms and frequencies, with lighting used to enhance the creative atmosphere. The use of changing colours, materials and shapes combine to create a sense of journey, integral to a learning institution. Drawing inspiration from the use of Wabi Sabi architecture, the fit-out celebrates the perfectly imperfect. Reflective of the college’s values, it is a space that facilitates and inspires creative endeavours. Colour is used throughout to tell a story. The blue in the atrium is nice and bright, framing an internal skylight referencing ‘the sky’s the limit’. 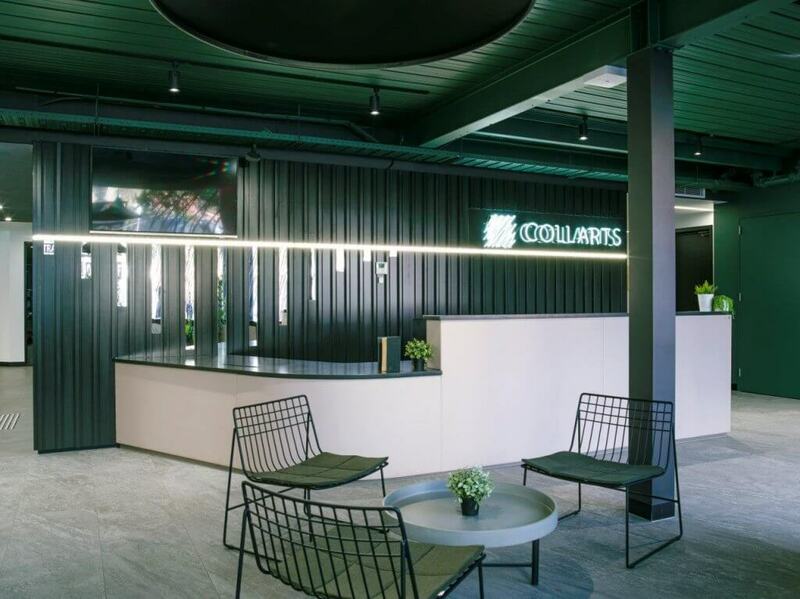 Deep green in the reception, combined with exposed ceilings, timber and fabric, creates a sense of nature and home that suggests all are welcome. Transitioning colours help guide the way as you move through the building – from green to blue, to red, to purple – each inspiring a different mood but all anchored to the overall aesthetic. The classrooms’ half-moon shaped desks are a charming pinkish-mushroom colour, with crisp black edges promoting focus and concentration. Their custom-curved profile can create an array of different layout options, helping the students collaborate and creating a sense of togetherness. There was great consideration into the form-work and shapes implemented – a mix of diamonds, triangles, circles and squares – balanced to reflect both masculinity and femininity but also suggesting a learning journey of change and transformation. These shapes are complemented by the use of mirrors, reflecting back to the students their potential as they grow throughout their time at the college. 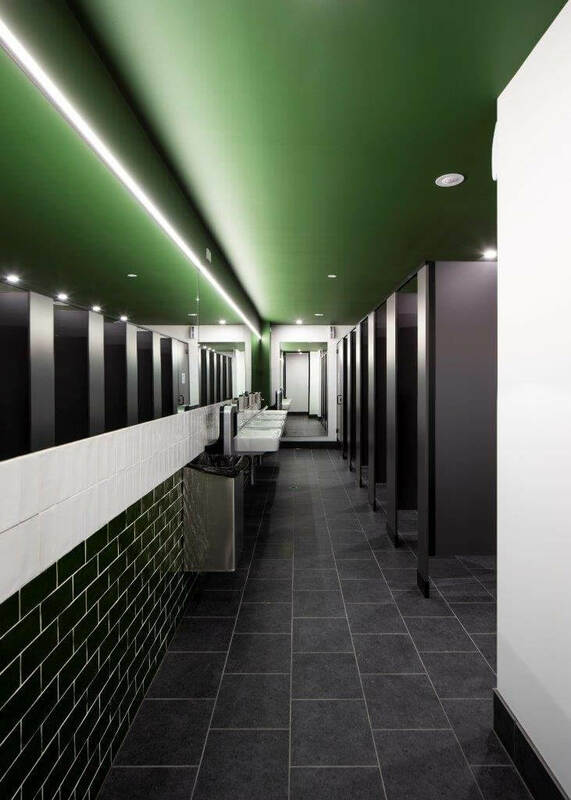 Collarts share our strong support for sustainable design and creating an environment that staff and students could be proud of while promoting their well-being. Solar panels have been included on the roof and sustainable products are used throughout. The design uses flooring material that is easy to clean and will withstand large amounts of traffic. And there is Australian hardware, furniture and products used where possible. 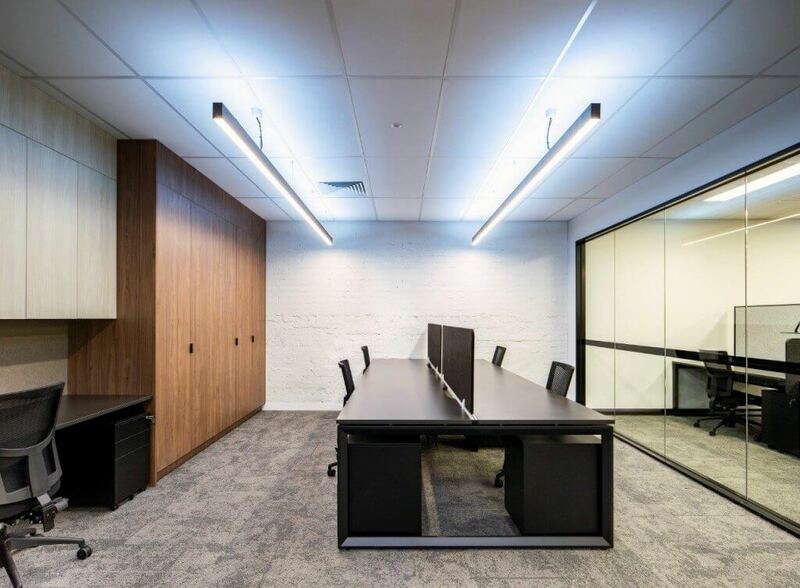 Merit Interiors completed all aspects of the design, project management, and construction of this fit-out and have subsequently been engaged for more work within Collarts’ extended and growing campus.